AFTER the fall of Manila, the Americans took up their positions in the city and commenced to govern Manila. General Otis naturally took possession of the late governor's house in San Miguel, and used the palace (Ayuntamiento) as the house of the executive power. The generals and other officers had allotted to them other vacant houses, and the ordinary volunteer soldiers were provided with such accommodation as was afforded in the cigar factories, cockpits, etc., some of them being compelled to camp in the open. The Spanish prisoners were camped in the churches and monasteries, of which there are a great number. They undoubtedly received the greatest consideration and kindness from the Americans. During the early occupation of Manila, the American military governor-general made each Spanish officer an allowance from which he had to provide for the wants and necessities of the men in the company he commanded; but it soon became apparent that the Spanish officers, instead of feeding their men, misappropriated the money to their own inhuman ends, and left their soldiers positively starving in the streets. This atrocious conduct was quickly discovered by the Americans, who immediately discontinued the allowances. From that time the prisoners received their rations from the Americans at their quarters. I have frequently seen them fed, and have examined the food supplied to them. They each received a large bowl of hot meat, and potatoes soaked in a most appetising gravy. The quality and the quantity of their food was beyond reproach, and surprised the men themselves. Many of them have frequently told me that in their captivity they were happier than when free, half starving as soldiers in the Spanish army. The Americans removed, necessarily, all Spaniards from public offices, and placed their own officials in charge of the customs, the postal and telegraph offices, etc. They dismissed also the Spaniards who had policed the city so well, and placed in their stead the raw recruits who had volunteered in the campaign. This proved later to have been one of the many mistakes of the war, discovered only after America had announced her intention of annexation. The Spanish police corps was perhaps as good as any in the world. They were acquainted with the desperadoes and the dens they frequented in the town; they were accustomed to the local revolts and to the secret meetings of the insurgents; and they were skilful in their management of the traffic of the streets and of the people. These men were willing to serve the Americans as they had served the Spaniards, and remembering they hated and feared the insurgents, there is every reason for supposing that they would have been faithful. The United States volunteers were too inexperienced and too arrogant to cope with the large traffic of the streets, and too ignorant of the Filipino character to make themselves popular and respected, with the consequence that Manila has been, and is, the hotbed of theft and crime, of debauchery and assassination. Scarcely had the Americans settled to their occupation before newspapers of all descriptions were published, and these papers unfortunately were permitted publicity, provided their attacks and abuse were confined to the Filipino or "insurgent" people. The officers governing Manila allowed these organs to exercise their harmful influence uncontrolled, though a censor had been appointed to examine into and prevent opinions being expressed or reported which might damage American interests in Luzon. Aguinaldo and his followers read daily the scurrilous and untruthful accounts of his army and his affairs; the attacks made upon him both as a general and a man; his alleged intention to attack the American people at Manila; his alleged cruel treatment of his prisoners, his policies, his treachery, until he wondered what manner of people this American nation could be. On one occasion he said: " I have been loyal to America and the Americans. I have at all times acted upon their advice, complied with their desires, yet in their daily journals they endeavour to humiliate me before my people. They call me thief, renegade, traitor, for no reason. I have done them no harm; I have assisted them to their ends, and they now consider me their enemy. Why am I called a renegade, traitor, thief? They say that I have stolen the money paid me for my people. That money belonged to my followers, and if it is spent, it is they who have spent it upon our country and upon our independence. These journals, if America desires them to be so called, cannot change the opinions of my army; they know I am honest, they know me to be their champion, and they trust me. Why has America altered her views of me, and why does she permit these newspapers to plant in the hearts of her soldiers anger and ill-feeling by their untruthful reports? This morning, it is alleged, I shall attack Manila to-morrow. Why? Because I wait merely for my independence and for the fulfilment of America's promises." In order to show how easily the American soldiers were excited, in consequence of newspaper statements of Aguinaldo's intentions to attack Manila, I will mention an incident which took place in September, I898, and which was the cause of much merriment in the Filipino camp. A message was brought in hot haste from an American outpost, that a Filipino soldier had given thirty minutes' notice for the withdrawal of the American force at that point, with the alternative of immediate annihilation. Troops were hurried to the front, and a battle was reported imminent. The most absurd rumours were circulated throughout the city, people ran breathless to their cellars for protection, and the wildest possible excitement prevailed. When the Filipino camp was reached, which was commanded by Sefor Sandico, it was found that the whole story was a pure invention. The women were quietly washing their children, or were preparing their daily meal, or were otherwise employed in their domestic affairs; but they were in camp, which would not have been the case had there been any intention to attack Manila. The Filipinos were ignorant of the cause of the American commotion. This condition of things was almost of daily occurrence. I have seen the American soldiers lash themselves into a state of fearful panic, without the smallest cause. Collier's Weekly, October 29th, 1898, quoting a letter from its correspondent, dated September I0, 1898, says:" For some days there have been occurrences which every one feared would lead to trouble. A member of the Thirteenth Minnesota opened fire and killed a native. From that time the insurgents have been surly, and have not submitted to be searched with good grace." I must here explain that the "insurgents" were permitted to enter Manila at will, provided they did not carry arms, and the soldiers received orders to search a suspected case. One night some American soldiers knocked down a native and robbed him. No inquiries were made, and no one was punished for the dastardly offence. Insults and cruelties were permitted, provided they were offered only to Filipinos. It is hardly necessary for me to say that the rumoured outbreaks never took place. The Filipinos neither threatened to take Manila nor did they fire upon the Americans, until the 4th of February, I899, and then only under conditions which I shall describe in a subsequent chapter. The newspapers to which I have referred were alone to blame for all the scares and panics caused in the American lines, and these "frights," on the American side, did not inspire the Filipinos with a great idea of their courage or their discretion, and consequently they had an erroneous opinion of them. The American generals permitted their men to be worked up by a few editors to such a condition of excitement as to amount almost to frenzy. These "journalists" in no sense understood the real situation, and had to resort to these practices for the daily sale of their papers. 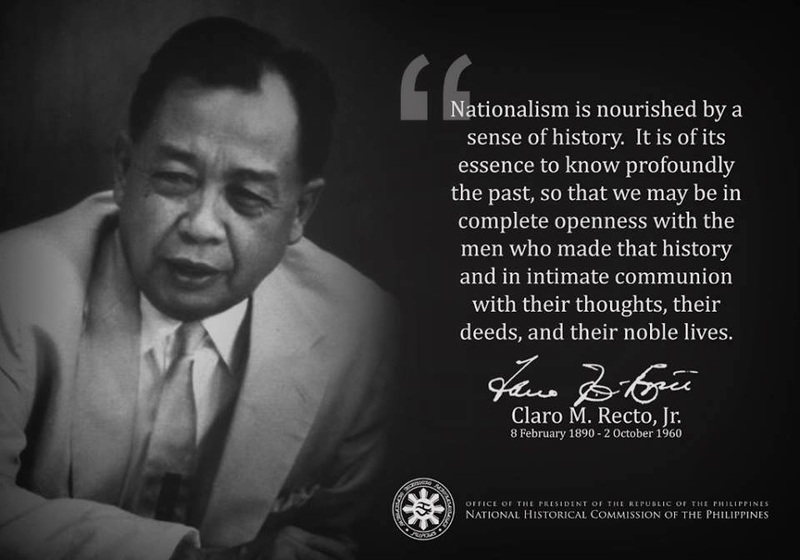 The frequent calls to arms were the source of great amusement to the calm and collected Filipinos, who failed to understand such hysterical outbursts in a people reported to be brave and self-contained. In consequence of these threatened " attacks" by the Filipinos, General Otis ordered the natives to vacate the quarters they then occupied, and to withdraw farther from the environs of Manila and away from the lines of the American soldiers. No reason was assigned for these commands, but three days were given in which to obey them. The order no doubt was a wise one, but at the same time a clever tactician would have stated the cause. He would have informed Aguinaldo that, owing to the rumoured threats of his people, Manila was becoming impossible and unbearable as a visiting place to himself and his soldiers, and, consequently, dangerous to both the American and Filipino armies. The insurgents, patient and uncomplaining, left on the second day the homes in which they were located, and proceeded to erect their camps in the open, within the limits prescribed by General Otis; but few can realise what hardships and privations these changes meant to the Filipino people, in a season the worst in the year on account of the rains, and the diseases which the rainy months cause. Yet these soldiers, as desired, withdrew, with their banners flying. Still the Manila press continued to sow the seeds of hatred in the hearts of the American soldiers, until they loathed the Filipinos. They insulted them on all possible occasions, and openly stated that the time would come when they would shoot them like dogs. Scarcely were the Filipinos settled in their new quarters, when a fresh order was issued, commanding them again to withdraw. It was reported to Otis that they had declined to do so. This was untrue. They were really endeavouring to find a suitable place in which to pitch their camp. Aguinaldo sent a message to General Otis, saying that the American commander could not possibly understand the hardships which his orders inflicted upon the Filipino soldiers; he received no reply; yet he obeyed General Otis, and again removed the Filipino camp. It is impossible to understand the intentions or motives of these hard and peremptory commands, unless, as it appeared, it was the desire of the Americans to force a war upon the Filipinos. Finding Aguinaldo ever obedient, the Americans commenced a systematic ill treatment of the Filipinos on the sea. The latter were in the habit, as sanctioned by Dewey, of conveying their supplies to the places at which they had their troops stationed. Without warning, the Admiral, reversing his previous policy, seized the Filipino launches; and when Aguinaldo's representative courteously prayed that an explanation might be given to him, he was virtually requested to leave the flagship. At this time Aguinaldo's officers were treated, it is alleged, with indifference by Admiral Dewey, and absolutely refused any appointment with, or recognition by, General Otis. It would be only fair to the Filipinos and to the American people generally, and indeed to all the civilised nations of the world, for the American government to make known what were its instructions from Washington to these two officers, and whether the intentions were as cruel as the orders proved to be when in operation. It seems almost incredible that General Otis, though ignorant of the Philippines and their people, declined to be advised by the American and British merchants of long residence in Manila, who thoroughly understood the questions involved by the war, and who could have given him advice of the greatest importance to himself and his government, with regard to the treatment of the Filipinos, and the best means to be employed for bringing about a reconciliation between them and the Americans. Mr. Higgins, to whom I have previously referred, as the manager of the railway in Luzon, has repeatedly told me that he urged General Otis to meet General Aguinaldo, but General Otis declined to do so, or even to consider him a figure upon the stage in Philippine questions. There is perhaps no one in Manila at the present time so able to give information concerning the natives as Mr. Higgins; and had General Otis consulted him, or men like him, the American commander would have acquired much useful information, with the result that there might have been long since a peaceful termination to these unwarrantable hostilities. In the London Globe, dated August 5th, I899, the following appeared:" It is a well-known fact that the Astor Battery, a volunteer regiment equipped by John Jacob Astor of New York State, declared through their officers that they would refuse to reenlist until General Otis was superseded. Numerous interviews from time-expired volunteers who have arrived at San Francisco, abound with the statements of the blundering despotism and incompetence of General Otis." Yet the American government, though in possession of facts which would cause the withdrawal of any general in the world so placed, declined from time to time to recall him. It allowed him until very recently to continue to misgovern and to mismanage its affairs in the Philippines to the detriment of American interests and to the disgrace of the American people. Manila in January, I899-Increased WagesImmigration of Chinese forbidden -American Uniforms - Cafes in Manila - Officer's Opinion of his Men - Dissipation among the Troops -A Transport for the Provinces. MANILA is built, like all Spanish cities, with plazas, lunetas, recreation grounds, and promenades. In the afternoon the shops are closed, and work being over the people, after their siesta in the early afternoon, commence their amusements. The old city is enclosed by a wall, in some places forty feet in thickness, and from twenty to twenty-five feet in height, surrounded on the outside by a moat, over which, at the several entrances, there are drawbridges, which can be raised and lowered from the inside. The circumference of this prefecture is about three miles, and is supposed to be the finest specimen now extant of this kind of fortification left from the Middle Ages. Before the war it was thought the city was impregnable; but though millions sterling had been absorbed by the local government, little or nothing was spent upon the defences of the city. In almost every case the guns employed in these fortifications were useless and obsolete. The moat, so long disused and neglected, had become a sanitary trouble to the inhabitants, but the Americans endeavoured to improve its condition by clearing it as far as they were able. Manila is, in my opinion, one of the most picturesque cities I have seen in the East. It contains some of the handsomest buildings in the world, architecturally considered. Its streets are broad and well made, the shops and cafes, suggesting a European town. The private houses are large and spacious, situated in beautiful avenues, shaded by exquisite palms and other tropical vegetation. The population of the city is some two hundred and fifty thousand, two hundred thousand of whom, it was estimated, were Filipinos, the remainder being Chinese and Europeans. The Luneta is the fashionable drive for the Manila inhabitants. It faces the bay for a distance of about one mile, and is extremely picturesque. Under the Spanish rule it served as an execution ground and as a pleasure resort. Between certain hours, both under the Spaniards and the Americans, a band played national and other music. Well-built carriages of Parisian design paraded in close order, suggesting the "Bois " or the "Row." The Filipinos, musicians themselves and devoted to music, came with their wives and children to hear the bands of their American allies, and a more peaceful gathering could hardly be found in any part of the world. They invariably uncovered their heads, in compliment to the American people, when "There'll be a Hot Time in the Old Town To-night" was played, they believing that tune to be the national anthem of America. This no doubt was due to the frequency with which the air was played by the bands. Unfortunately, during the war scares to which I have referred, the American bands did not perform, and this was considered a sign of great weakness by the Filipinos, and indeed by all the foreigners, including the Spaniards, as there was no excuse or justification for the panics that took place. Before the arrival of the Americans, Manila was a city where those of moderate income could live luxuriously. They had not been long in possession before living, food, and labour became considerably more expensive. They endeavoured to disuse the Mexican dollar, value fifty cents gold, and to introduce the gold dollar with the consequence that both Chinese and Filipinos, labourers and servants, became demoralised and indifferent, knowing full well that owing to the numbers of Americans in the city their services were indispensable. Below I mention the difference in prices of labour before and after the American occupation. BEFORE AFTER Carpenters, per day,. 25 to 30 cents 80 to 90 cents Mechanics, blacksmiths, etc.,... 50 to 60 " IOO to 130 Engineers, railway and otherwise,.. 70 to 75 " 120 to 140 Boiler makers, etc.,. 80 to 90 20 to 150 Servants, per month,. $7 to $I4 $40 to $50 Cooks,..... $12 to $15 $50 to $60 A fatal mistake made by the Americans was to forbid the immigration of Chinese labourers, forgetting that the Filipinos were utterly unable, from many points of view, to conduct the industrial affairs of the colony. On one occasion, I saw a number of Chinamen shipping for Hong Kong. Before sailing they were compelled to submit themselves to the examination of the American official, who, seated with a table in front of him, carefully examined each Chinaman, roughly handling him, in order to discover some mole, birth-mark, or other discoloration on his face or hands, to be inserted into his passport for future identification. After this, a certificate was given to him, for which a high fee was charged, and without which the long-suffering John could not return to Manila. The labour of the Philippines, and most certainly of Manila, is purely Chinese. America must discover, as England has found, that no Eastern colony can succeed without them. Hong Kong and Singapore, the Malay states, etc., have become some of our greatest colonies, mainly on account of Chinese labour. Such is the Malay nature that the natives think work menial or otherwise beneath their consideration and contrary to their principles. America has no doubt been correct in her home policy, in this respect, because it was for the protection of her own industry and manufacture, and the habits and conditions of her people are altogether different; but in the Philippines such a policy is simply absurd. The Chinese are industrious, quick, willing, and frugal, capable of working whatever the climate may be, and their presence, as England's experience has shown, can make a colony both rich and prosperous. Even Spain, now a nation without ambition, and always indifferent to the progress of her colonies, permitted and encouraged Chinese labour, on account of the generally lazy and indolent Filipino nature. I have frequently heard prominent Filipinos comment upon these restrictions and also upon the behaviour of the American volunteers in the streets. They were usually dirty in their appearance, and very badly clothed, though the officers of the commissariat had large numbers of uniforms stored; but with these the soldiers had the greatest difficulty in getting them to part. They were made of khaki, and cost at Hong Kong some four to five dollars (eight shillings to ten shillings) a suit. It was a disgrace that these men should have been left in some cases shoeless and almost ragged. At this time, the Escolta, the principal street in Manila, contained more cafes than I have seen in any one street in any other city of the world. These cafes or saloons were opened and controlled by American hangers-on, who came to Manila to sell intoxicating liquors to the American soldiers. They were not confined to the Escolta only, but rapidly they were opened in all quarters and parts of the town. It was surprising to see the American soldiers patrolling the streets in an intoxicated condition, managing the traffic, and generally acting as police officials, for which they were utterly incompetent; although in fairness to them it must be remembered that many of them were men of some means, who volunteered to fight their country's battles, whilst others, and I should think the majority of them, were men from the Western states, without character and without principle. There was no disguise as to their discontent; it was open, and the irritation it caused was vented upon the Filipinos. Of course in a large army of twenty-five thousand men, all volunteers, gathered from all parts of the American continent, it is but natural there should be men of every class. No country in the world without a standing army could form in a few weeks an army of this magnitude without enlisting a large percentage of desperadoes; but then it is all the more important that the discipline should be strict and effective: this was not so in the case of the volunteers in occupation in Manila. They were permitted to lounge about the cafes, and the streets, in a most disorderly condition. Their officers, in the majority of cases, made no effort to break them in or teach them obedience. A certain colonel, with whom I was on terms of some intimacy, said to me: "I hope you will not form your opinion of our people by those whom you see representing us here. It is impossible for me to justify their conduct; but you must make some allowance for them as volunteers, and if they make mistakes, it is because in many cases the heads of industrial and other firms who have volunteered, have gone as ordinary soldiers, whilst in some cases clerks in their employ at home have been given commissions as officers, and they therefore have to be careful in their conduct, well knowing that their future depends upon their doing so." Many thousands of casks of liquor were imported into Manila for the supply of these cafes. It was generally reported in Manila, at the time, that it was smuggled into the city on the pretence that it was for the consumption of the American soldiers, and sold to the keepers of the American liquor shops at a profit. One thing is certain, that the soldiers were often in a condition which rendered them entirely irresponsible. Aguinaldo has frequently said that the conduct of the American soldiers should be investigated by the American government. It was common street talk, that the American officers stripped buildings of tapestry, oil paintings, and all kinds of valuables. Parties, each consisting of two American soldiers, were organised for the purposes of calling at private houses to inquire whether people of immoral character were residing there, and if they found the male residents absent, they insisted upon searching the house, and stealing whatever property they could carry comfortably with them. This happened at the house of Mr. Wood, with whom I was staying. I saw these men, and threatened to report them. Complaints from the residents were made daily, and I mention this merely to show that the soldiers were not under the control of their officers. Whilst the Americans were idling in Manila, certain Filipino forces were attacking Iloilo, which is the capital of another of the Philippine Islands, called Panay; and notwithstanding that the Spaniards called upon the Americans to accept the surrender of the town, the Americans waited until the Filipinos had conquered and captured it, when they sent warships and troops with orders that the Filipinos must withdraw. On the 3d of January, 1899, American troops were embarked with sealed orders, on a small transport for Iloilo. The Filipinos watched with much interest the condition of the men being shipped - they were intoxicated almost to a man, and while waiting for the tender to take them to the vessel a private used offensive language to his officer in charge, in reply to certain orders he was giving. A quarrel ensued, with the result that he struck the officer, who gave him a thrashing which he richly deserved. The man was not reported, nor was he tried by court martial; the officer and the man went together to the transport, as though there had been no disagreement between them. The vessel remained with the men on board for nearly seven days, packed so closely that it was a matter for surprise how so many could be shipped in so small a vessel. In that climate, it was the most deliberate cruelty. It was not an uncommon sight to see an officer being assisted to his quarters by one or two of the ordinaries in his company, and vice versa. Their barracks were so offensive that people avoided passing them as much as possible, fever and sickness of course being common among the men. While I was in Manila, there were a large number of cases of small-pox which were extremely dangerous, the percentage of deaths being, I understood, appallingly large. Fights in the streets were frequent. Yet the Filipinos were asked and expected to respect the Americans, as the conquerors of Spain and the future lords and masters of themselves. I have frequently stopped my carriage to watch the soldiers drilled, and I have heard either the corporal or the officer ask, "Are you ready?" "Yes," was the reply from the men, "Then quick march." On one occasion, I heard an officer or a sergeant in command giving directions to his men, and the following conversation took place: - "Stand at ease-before you dismiss, the orders for the night are: that no man is to leave his quarters, and that every man is to be under arms." At this there was general discontent, and grumbling could be distinctly heard along the lines, and smothered expressions like: "Oh h-. I'll be d d if I shall obey those rotten orders. It's all bosh, I'll see you in h --- first." To this the man in charge replied: "All right, boys, don't get angry with me. They are not my orders; they are from headquarters. If I had my way, it would be different." These are but instances of what continually occurred.